Anglo Premier Translations propose des devis et accepte des paiements en francs suisses pour que les clients en Suisse puissent bénéficier de tout son savoir-faire et de tout son professionnalisme. Vous êtes dans la région de Genève ou de Lausanne et vous avez besoin de services de traduction? Je serai dans la région du 5 au 12 décembre pour présenter mes services à plusieurs entreprises et organisations. Si vous voulez aussi vous rencontrer avec moi pour que nous puissions analyser comment vous pouvez bénéficier de nos services de traduction, merci de nous contacter. Je serai présent, notamment, à l’International Sports Convention (ISC) le 10 décembre, au Great British Breakfast avec Nick Varley organisé par la British-Swiss Chamber of Commerce le 11 décembre, et au Midi de la Chambre de la Chambre de commerce, d’industrie et des services de Genève le 11 décembre, mais je peux aussi prendre rendez-vous avez vous à tout autre moment. The blog has been quiet for a while; the last post was six months ago. It’s been a busy year so far for Anglo Premier Translations. In January I translated (Spanish>English) an OECD report on e-learning and higher education in Latin America. The report looked in particular at how distance learning has evolved thanks to new technologies and how this is enabling the provision of higher education to isolated, rural parts of Latin America. In February and March I was part of the translation and editing team for the OECD’s African Economic Outlook for the sixth consecutive year. For the 2014 edition, entitled Measuring the pulse of Africa, I translated the country reports for Comoros, Cameroon, Burundi and Algeria and proofread the translations done by other team members of the reports for Côte d’Ivoire, Mauritania, Togo, Guinea and Equatorial Guinea. April was a somewhat quieter month, during which I was able to take a much-needed break, but I also began working with a new client, McCann Erickson, translating commercial material. In May and June I began working with another University of Barcelona author. The professor is coordinating a book comparing the EU concept of services of general economic interest (SGEIs) and domestic legislation on public services in France, Spain and Italy. I translated chapters from French and Spanish to English and edited chapters translated from Italian to English. At the end of May I had the pleasure of attending the International Conference on Economic, Business, Finance and Institutional Translation, held at the University of Alicante. 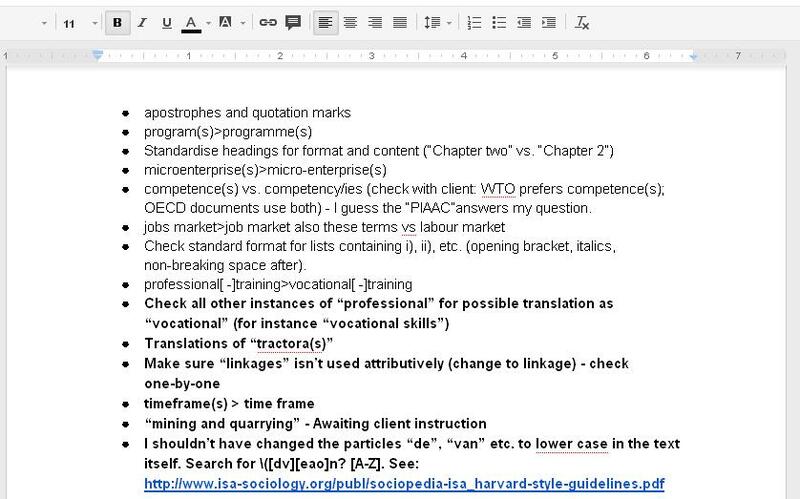 The conference was of particular interest to me because I regularly provide economic translations to the OECD. Also in June, I reached an agreement with the French sailing team SAS Spindrift to translate articles (French>English) related to their upcoming attempt at breaking the world record for the North Atlantic Crossing. My collaboration will involve being on stand-by 24 hours a day during the record attempt, as news items may come in at any time. Finally, in July, after completing a test, I was accepted as a provider of translation services for the Inter-American Investment Corporation, and have already had the pleasure of working on two very interesting projects. I look forward to continuing our business relationship. Anglo Premier Translations will continue operating throughout August, when I expect to receive academic papers from university lecturers taking advantage of the end of their semester to finish off articles. And in September and October I will be providing translation and revision services (Spanish>English) for Latin American Economic Outlook for the third consecutive year. Finally, in November I will attend the Mediterranean Editors and Translators conference for the eighth consecutive year. One of the areas in which Anglo Premier Translations has specialised is in research articles for academic staff. 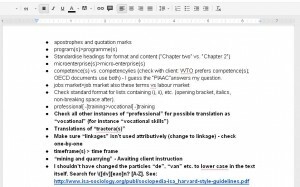 My translation and editing services have resulted in nine academic papers being published in journals and four conference papers or working papers. This is in addition to books I have published with academic articles in them. For more information, including links to the articles, see the new Research articles page of my website. One of the options says “Crear teclas de método abreviado para todos los usuarios”, which means “Create keyboard shortcuts for all users”. It seems a strange question to ask when installing a program. When you toggle the option, the list of programs in the above window changes, which is when I realised what had happened. It should be asking whether I want to place a shortcut in the Windows menu for all users. 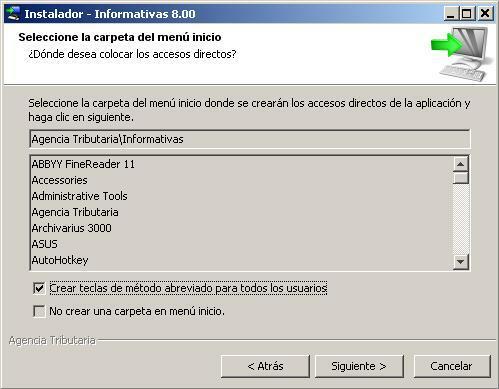 The installation program was probably translated from an English installer that said “Create shortcuts for all users”, and the translator interpreted it as keyboard shortcuts (teclas de método abreviado) rather than shortcuts in the Windows menu, which I believe are called “accesos directos” in the Spanish versions of Windows. Either the translator failed to use the context, or more likely, the translator was not given the context and was simply given a list of words and phrases to translate. There was probably no testing either. Whenever a translation is done and then transferred to another environment, somebody should view the translation in its final environment to check that all is well and rectify any problems (referred to as “testing” in the industry). Types of documents that require testing include websites, Powerpoint presentations and software. Similarly, before any translation are sent to print the translator should see the proofs to ensure nothing has gone wrong during the typesetting phase. Testing and checking proofs are both services provided by Anglo Premier Translations.